An Oasis is a place in the midst of difficulty or stress, where relief, revitalization, and LIFE can be found. This is our mission as an organization: to create Oasis for the orphaned and abandoned child. And to give them opportunities to live out their God-given purposes, with confidence and hope! 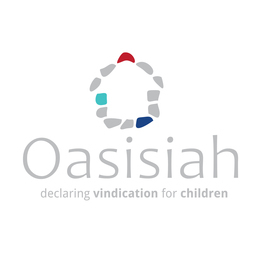 Oasisiah believes SECURITY is a vital component of creating Oasis, therefore, the reason for this campaign! OUR BOYS, need to feel secure. In December of 2013, Oasisiah acquired the 4 acre piece of property that you see above. Now, "Oasis Village Freres" (Freres being pronounced in English "Free-aye") this property is just outside of Port-au-Prince, Haiti in a city called Petionville; located just off of a well traveled road, Route de Freres. With our acquisition of the property, also came the responsibility of providing holistic care for the 16 boys pictured above! Our boys range in age, from 7 years old to 16 years old. The acquisition of this property was a HUGE, GAME-CHANGING moment for us as an organization. Because of this God-ordained acquisition, we now have the opportunity to actually bring our vision of creating Oasis for children, to a tangible reality. Below are a couple more pictures of our property. With much revitilazation needed, providing security is a big first step! Security looks different in Haiti. Security in Haiti, just like many other countries, does not consist of installing an ADT or any other home security system, but rather, installing razor wire and glass bottles (as seen below) along the tops of the perimeter walls of the property. This probably seems foreign to most people, but in the Haitian culture, it is the norm. And it is a NECESSITY! From the rich to the poor, this is one major component in the process of securing your property from vandalism and theft. A basic right for all children, is the right to feel secure. Our boys deserve this right! Concrete Blocks: Needed to make repairs within a few area within the existing walls surrounding our property, as well as, to make the existing walls taller in certain areas. Concrete: To serve as the base, in which the razor wire and glass bottles will be set. Glass Bottles: Needed to break into pieces, in order to set atop the perimeter walls surrounding our 4 acre property, as pictured above. Razor Wire: Main component need to set within concrete atop the existing perimeter walls surrounding our 4 acre property. Labor: For the installation of the elements described above. All labor to be done by local Haitians. You can give our 16 boys a sense of security! Whether it be $1, $10, $20, $50, $100, $1,000 or more; we ask you, to help us, create Oasis! “Afflicted city, lashed by storms and not comforted, I will rebuild you with stones of turquoise, your foundations with lapis lazuli. I will make your battlements of rubies, your gates of sparkling jewels, and all your walls of precious stones. All your children will be taught by the Lord, and great will be their peace." Isaiah 54:11-13.